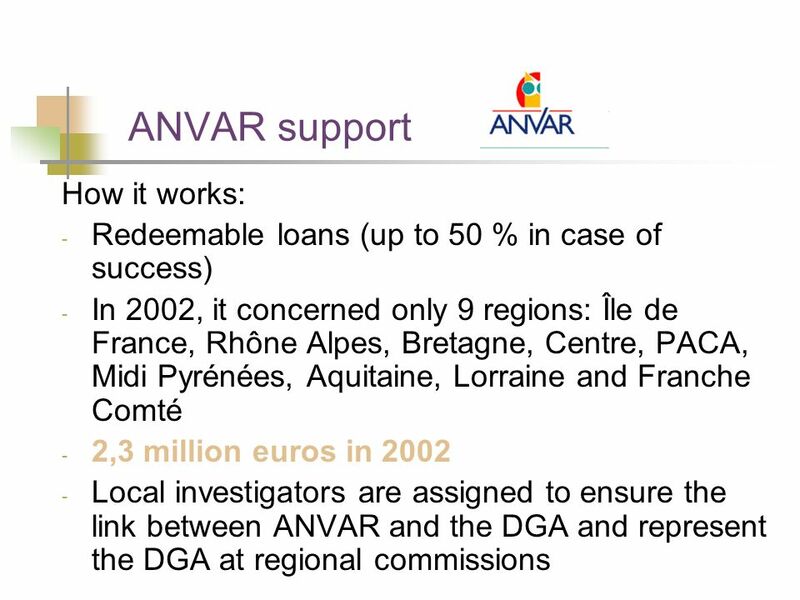 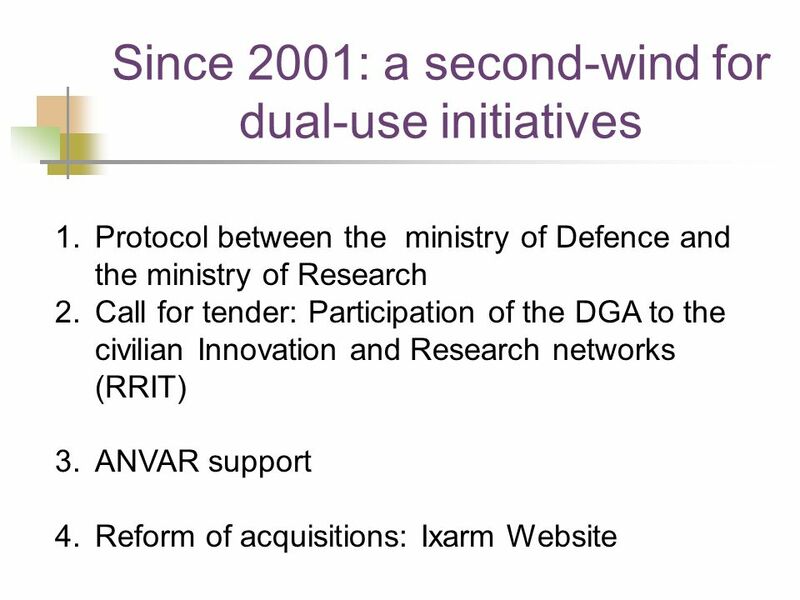 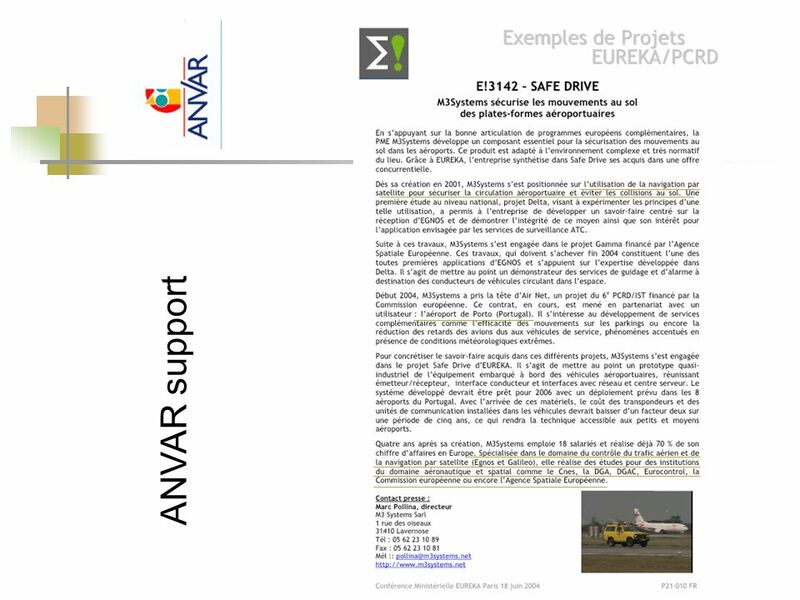 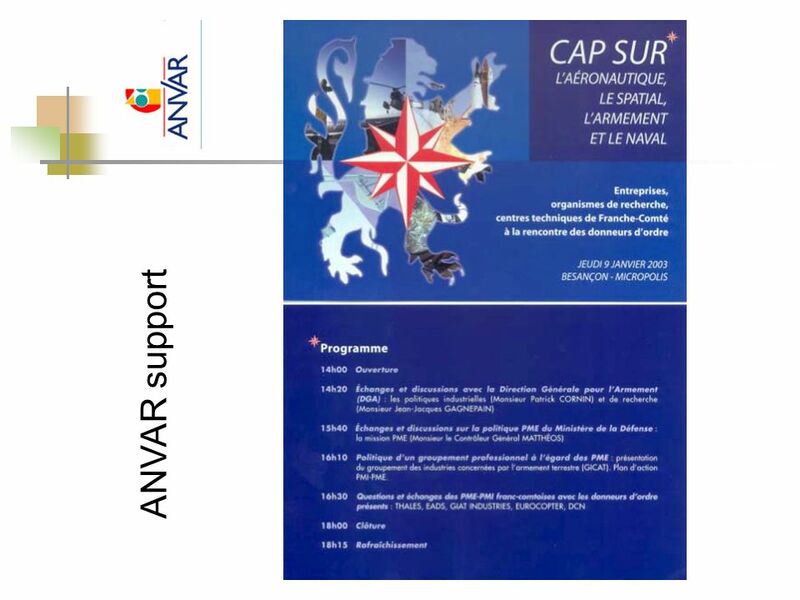 12 ANVAR support ANVAR is the French National Agency to enhance SMEs research activities. 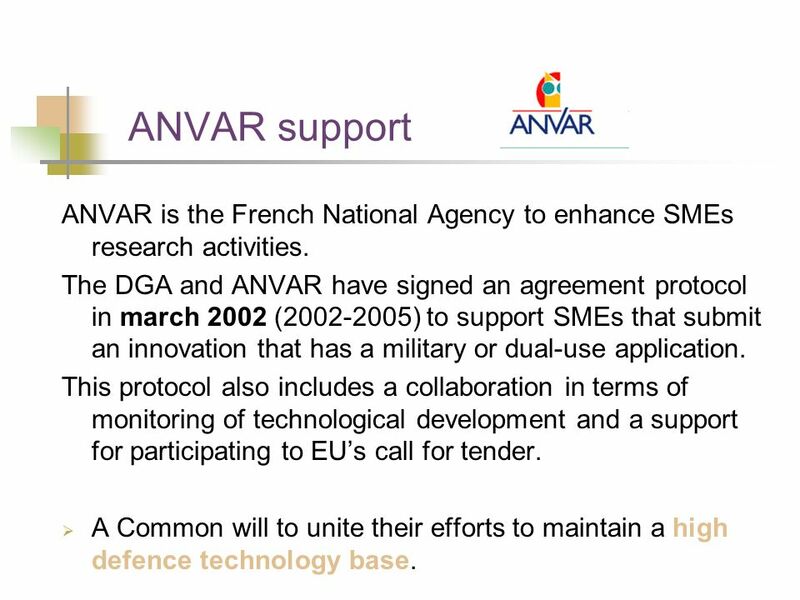 The DGA and ANVAR have signed an agreement protocol in march 2002 ( ) to support SMEs that submit an innovation that has a military or dual-use application. 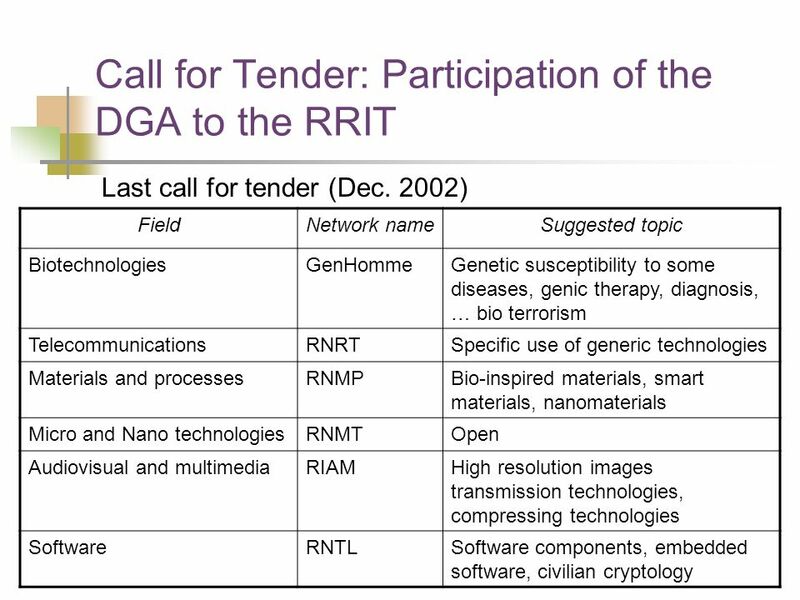 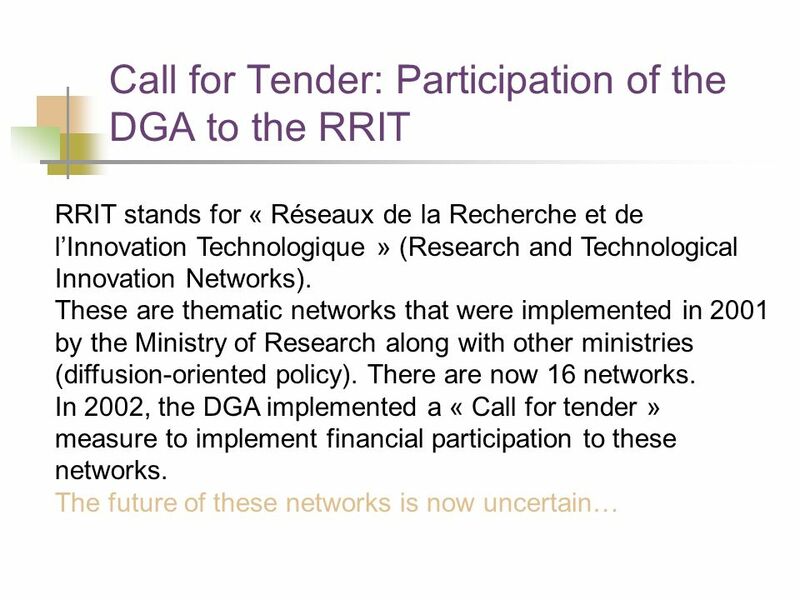 This protocol also includes a collaboration in terms of monitoring of technological development and a support for participating to EU’s call for tender. 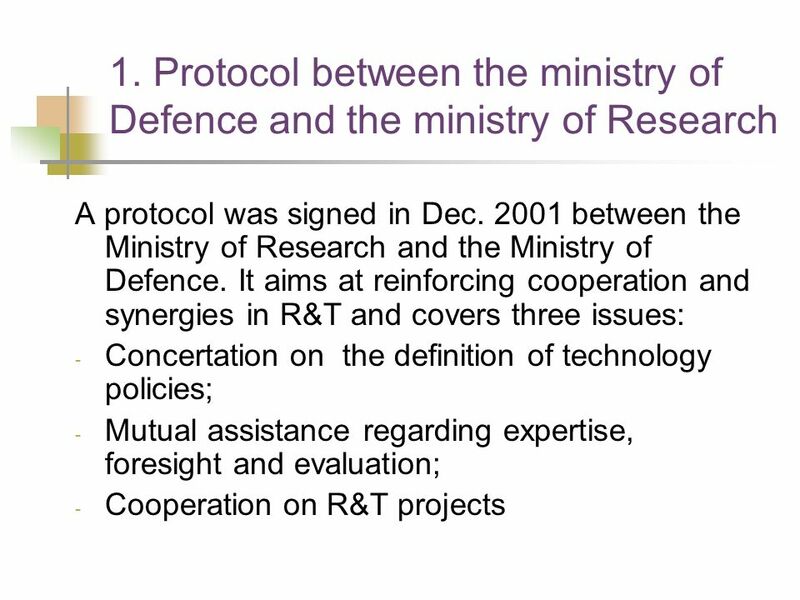 A Common will to unite their efforts to maintain a high defence technology base. 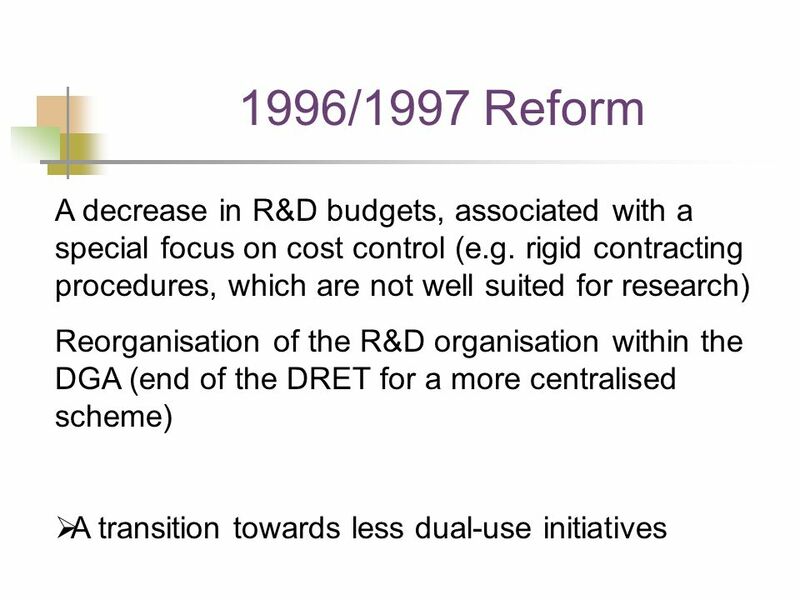 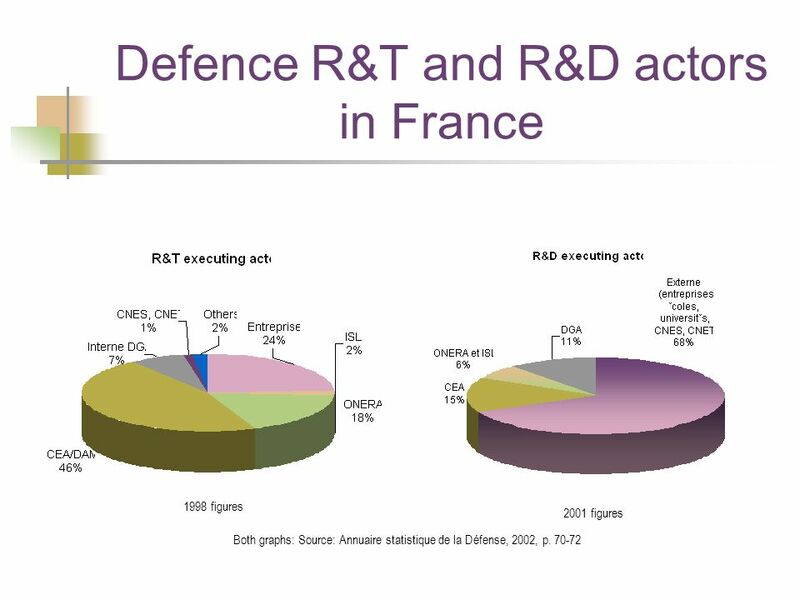 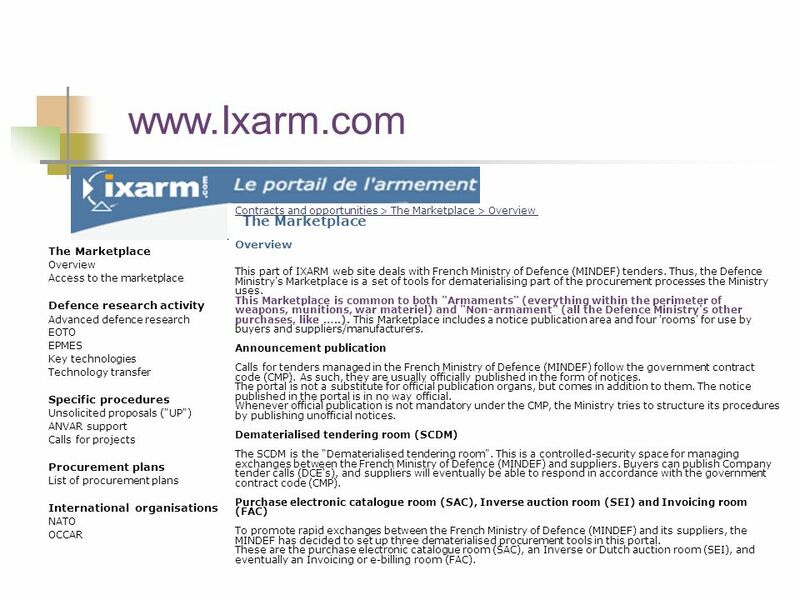 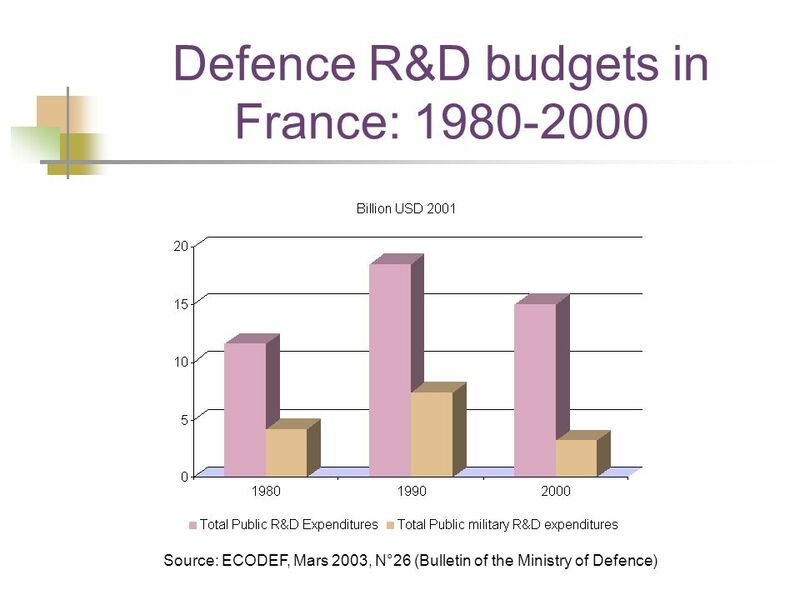 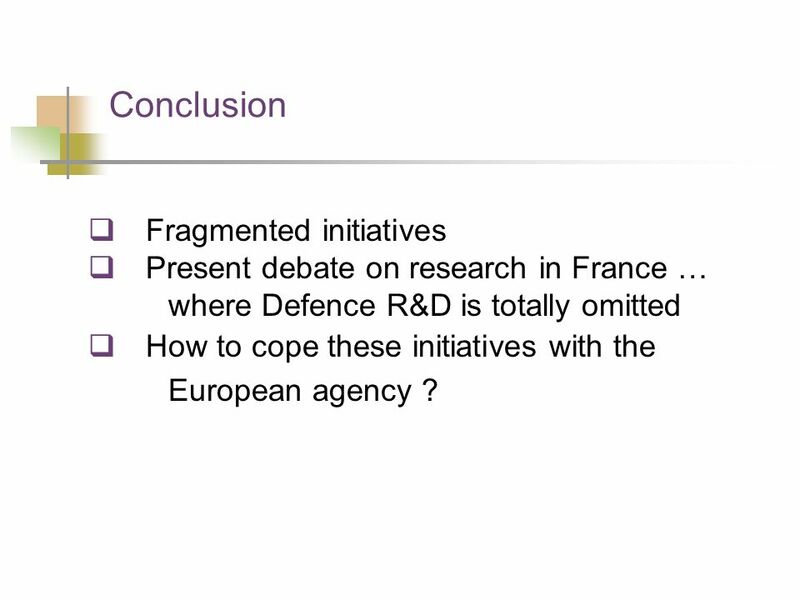 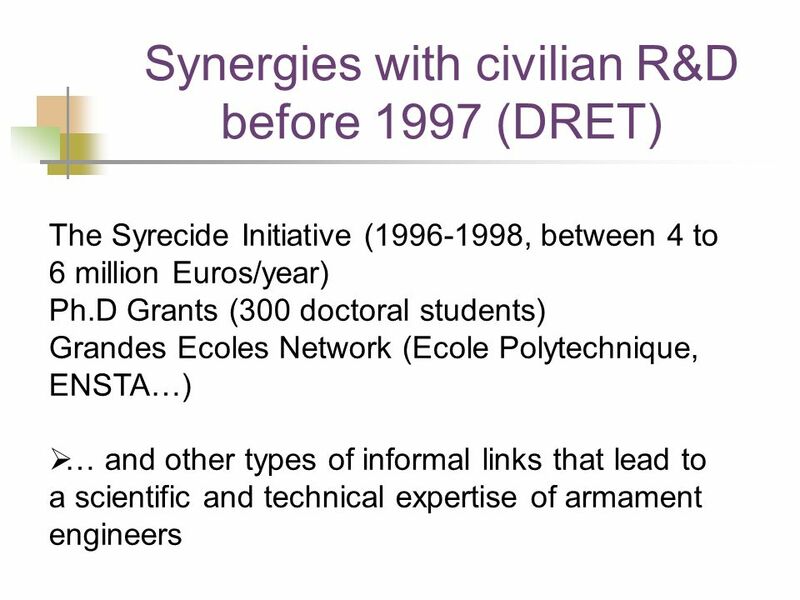 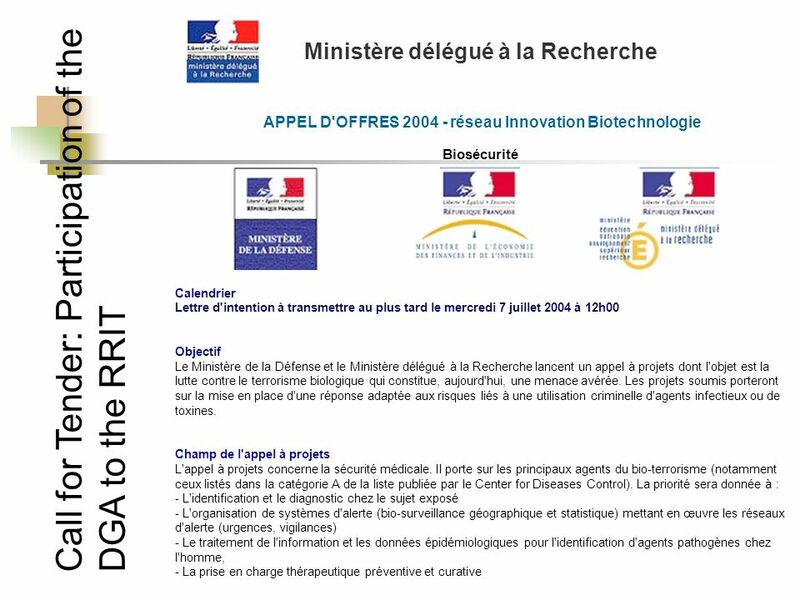 Present debate on research in France … where Defence R&D is totally omitted How to cope these initiatives with the European agency ? 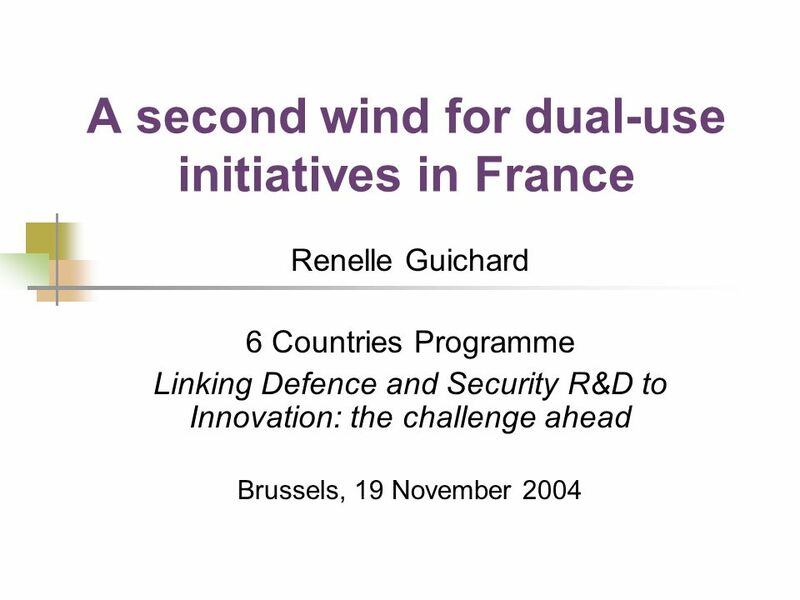 Télécharger ppt "A second wind for dual-use initiatives in France"